Portugal may be small but it’s big on vibrant culture, history, and natural beauty that invite intimate exploration. Discover the seafaring charms of the coast, the lush river valley vineyards, the hilltop castles and villages in its alpine interior and monuments to man-made achievements during stays in gracious palace hotels and pousadas. Spend two nights in the ancient port city of Porto with guided visits to two UNESCO World Heritage Sites, the Douro Wine Region and the historic center of Oporto. Your unique accommodation in Évora is a converted, 15th-century convent, setting the scene for guided exploration of the Convent of the Order of Christ and the historic city, both UNESCO World Heritage Sites, plus wine and olive oil tastings in the country; and in Lisbon, a two-night stay in Portugal’s capital city includes excursions to seaside Cascais and Sintra, a UNESCO World Heritage Site. 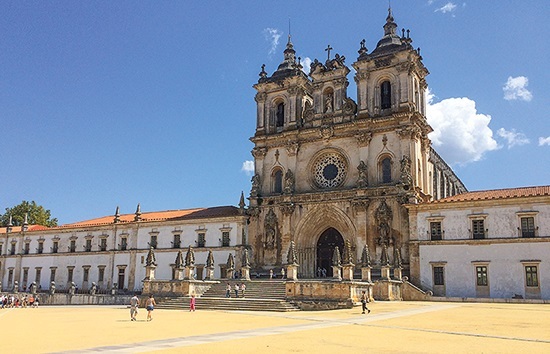 Unique experiences include visits to seven UNESCO World Heritage Sites on guided visits with local experts; private dinner at the National Palace of Queluz (Palacio de Queluz); and tastings of world-famous port wine and olive oil during a tour and lunch at a renowned winery.